National Apple Pie Day is May 13, a date that seems a bit unusual to celebrate a dessert so closely associated with fall. With that in mind, we think it's appropriate to celebrate by transforming apple pie into sundaes, or dumplings, or even a super-refreshing granita. 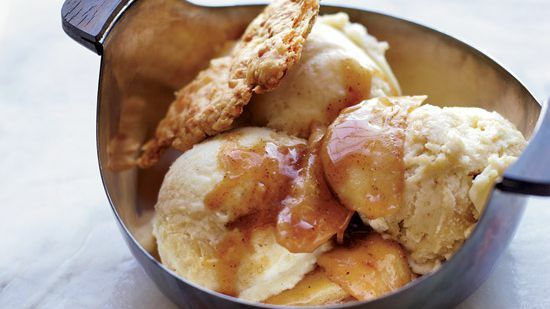 Apples baked in flaky pastry with cinnamon sugar are irresistible, especially when served with vanilla ice cream. Natural-style apple juice—less filtered than regular—is high in vitamin C and antioxidants. Here, Emeril Lagasse transforms it into a refreshing granita. This tart features silky-smooth, rich custard and caramelized apples in a tender, earthy rye-flour pastry crust.